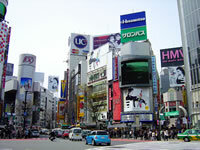 Shibuya is known as one of the three biggest subcenters of Tokyo. 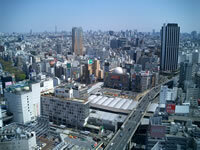 There are many restaurants, various stores, and famous department stores such as Seibu, Tokyu, Parco, and Marui. There is the statue of Hachiko at Shibuya station. The event is held at Omotesando, Meiji Shrine, Yoyogi park, and Keyaki-namiki-dori in August. The origin of original Yosakoi was Tosa in Kochi. Yosakoi spread all over Japan with different styles such as rock and samba.